But I am wondering why all the hoopla over Bell. If you do some searches over at the Gospel Coalition blogs, where the exposure of Bell’s errors have been fast and furious, the gospel co-allies didn’t seem to pay much attention to Bell prior to his recent book. I found one review of Bell’s videos, a link from 9-Marks that is now dead. But Bell was a basic no-show prior to March 2011. This issue is especially pertinent to me because I grew up where Rob Bell lives (Grand Rapids) and live where Rob Bell grew up (Lansing). I know the church he grew up at (it’s a normal evangelical church with some fine people there). And I remember buying baseball cards at the mall where Mars Hill now meets. I have people at my church that used to go to his church, and people from my home church that now go to his. Small world. Over the years, I’ve known many people that have attended Mars Hill at one time or another. Rob Bell’s influence stretches across Michigan. It seems that most people I talk to have some family member or friend or second cousin that’s gone to Mars Hill or loves Rob Bell’s books. Although few, if any, in my congregation would say they are Rob Bell fans, many interact frequently with those who are. Clarity on the important issues he raises (and misunderstands) is absolutely necessary. Especially in the Mitten. So if you’re from or live in Michigan, concerns about Bell may make sense (though how does anything hip come from Michigan?). But what kind of threat is Bell to the Gospel Coalition or my friends in the Southern Baptist Convention? I mean, American Protestantism does not lack for low hanging fruit in the orchard of bad theology and inappropriate ministry. Just turn on the Trinity Broadcasting Network and go to one of the pastor’s websites if you’re in the mood to expose pernicious teaching. So again, why all the fuss over Bell? And why especially all the Gospel Coalition resolve to pounce on Bell? I may need to get out more and meet people who read Rob’s books and watch his movies (though I did sit through an uncomfortably fawning interview with Bell at the Calvin College Writer’s conference a few years ago). I understand he is a celebrity. And I understand he is supposed to be cool. But do the believers who go to Gospel Coalition churches really need counsel on the dangers of Rob Bell? If they are reading Piper or Keller or Carson, shouldn’t they be able to spot good theology from bad? Or could it be the case that we are always hardest on those who are closest to us, such that to show that our position is correct we need to expose the errors of someone close to our position? But is Bell really close to the Gospel Coalition? I wouldn’t have thought so, except that the Gospel Coalition seems to be open to emerging churches (hello, Mark Driscoll). The other exception is that Bell has the kind of religious celebrity that cements the Gospel Coalition’s celebrities. But doesn’t all this exposure increase Bell’s celebrity? As I say, hello, Rob Bell, I hadn’t thought about you much before the allies said farewell. There’s a lot to criticise in Bell’s theology – but a lot of the actual critique seems to take on a theology of glory style quest for certainty – does our theology really depend on Gandhi being in hell, or only a few souls being in heaven, or does it depend on faith in Christ being the only way of redemption. So does Piper tweeting “Farewell Rob Bell” mean he now effectively excommunicated him? And from what? So thankful for the church (if she functions the way she’s supposed to!)! I am confused. Did you move to Michigan? I wish it was not so, but this statement is too true. Both the internet and the churches that follow Rob Bell and his ilk spread this stuff like wildfire. The LCMS suffers from the inroads these types of bad teachings are making. I live within a few miles of two of the worst offender churches in the LCMS. Plus, I live within the Bible belt (Texas). It is surprising how often I talk with people who’s thinking has been influenced by all kinds of garbage teaching both within and without the church doors. Sometimes, I feel like I need a PhD in order to understand how to give a lucid answer. Lily, yes I have moved to Hillsdale (though I am writing from Philadelphia during a trip). So sorry to hear about LCMS woes. I guess I do need to get out more, but in the world of Calvinistic Baptists and low-church Presbyterians, I haven’t seen any one needing a lift from Bell since we already have Keller to guide in the ways of urbanity and religious affections. To me, it’s analogous to Nevin writing against the anxious bench. Should Reformed churches have known better than to be suckered into Finneyism? Of course. But the call of Willaim Ramsey to the German Reformed Church in Mercersburg says otherwise. Should those who sit under the teaching of Piper, Keller, DeYoung be able to detect bad theology. Of course. But sometimes, I think our people assume silence equates to approval. For me, I’m glad these men have taken the time to read the book and review it at length. I work with college students, many who adore Bell (despite my best efforts). Because they have read and responded, I dont’ have too. Hyperlink away! My various parental visits to Hillsdale tend to be a blur except for the times I snuck off to the arboretum with a book & cigar. That’s where time went by at just the right speed. DGH, give it a try (if you haven’t yet). I’ll vicariously enjoy your second hand smoke. Perhaps because his universalism can’t be ignored anymore. I really can’t gauge your tone, Dr. Hart. If you genuinely don’t know why all the fuss, perhaps you should read a book of his…it most certainly wouldn’t meet with your approval. If you are saying this tongue-in-cheek, then perhaps the Gospel Coalition should be chided for not saying something sooner, but applauded for having said something at long last. Congratulations and merry felicitations to you and your family! I looked up Hillsdale – it’s looks like a lovely small town and perfect for an FPR kinda guy! May you be extra blessed this spring with marvelous new friendships and the fun of exploring your new environs with tours around the local countryside, visits to the local farmer’s markets, dairies, orchards, fairs, and other such small town country businesses and shindigs! P.S. Will you be setting your hand to a small acreage or stay in town with raised vegetable gardens, fruit trees, and backyard chickens? How are your citified kitties adjusting? This curious mind would love to know your FPR inspired plans! There’s not much call to criticize someone who’s only harming the people at his own church; but when he launches a mega-marketing that directly attacks you and what you believe, there’s a call. However, you also claimed that few paid any interest to him before his book. “Fighting for the Faith” is the only “discernment” podcast I’ve followed, and they’ve been following Bell since they started up. I don’t know if it’s true that nobody else has criticized him, but if so, that’s sad — his theology is _really_ bad. James White has documented stuff on Bell too in the past. Why all the hoopla about some Anabaptistic celebrity when we have the grand Reformation Confessions and liturgies? And who, John Piper, who pray tell is he? Since when did he matter? DJ, let’s see, over a dozen post at GC on Bell, and one on GC’s Bell here. You do the math and determine the fuss. Dan, is Bell the only odd preacher your students adore? I see your point about Finney and the German Reformed. But again, it’s not like Bell is the only emergent guy upon whom GC could aim their fire. Michael, I plan to enjoy cigars all over Hillsdale but I need to spend more time in the arboretum. David, like I say, there’s a lot of bad theology I don’t read and that GC doesn’t critique. So why is Bell at the front of the line? I’m not saying he is unworthy of critique. But so is Charles Stanley or Franklin Graham or Rick Warren. Or is Arminianism an acceptable error? Please remember 1618 before answering. Thanks, Lily. Hillsdale is a real place not trying to be another place, therefore definite FroPo territory. We are living in town but have a yard for green thumbs-wannabes. So far the cats are at different ends of the spectrum. The older, Isabelle, is pretty much fearful all the time so the change has not been good for her or the carpets. But for Cordelia, for whom life is one big toy, the move and new home are a piece of cake. I appreciate your encouragement. Hillsdale is a great school and I’m delighted to be part of the faculty. Durrell, don’t hold your breath looking for me in Imprimus. I have not reached Rob Bell proportions of fame among conservatives. Hmmm…’we are always hardest to those we are closest to.’ Following that logic, it would locate you pretty darn close to, hmm, let us see…. yes, Tim Keller. Bingo, celebrity seems to be what animates about 95% of the hoopla. But I’m not so sure DeYoung’s geographical argument makes much sense. I mean, I’m from Michigan and live in Bell’s backyard, but I have very little need to sound the alarm. Maybe it’s because I’m not a celebrity? P.S. Durrell, we’ve contemplated a move to Wayland. That is one fantastic little town. Thanks Dr. Hart. I’m sorry to hear that Isabelle is having some difficulty adjusting to her new home. I do feel for her. The older I get, the less agreeable I am to change. May God bless your family, new home, budding green thumbs, and new position in the days ahead. Am I the only one who seems to attract people with off the wall theological influences or are ya’ll just living right!?! Is it just the History professor in you that feels like making a pretty off the subject comment about GC and Rob Bell? Or does this have something to do with your deeper concerns with the CG acting as if it were a church? Michael Horton can write a 4 part review of Rob Bell, but you have to load an article full of connotations if Piper and others from the GC do the same? I think it necessary to inform your audience when you are looking to merely make an observation or if you are trying to make a point of greater theological significance, because many of your post get lost in between. I’m sure many laypeople will benefit from the efforts of Piper and others to critique Bell in their day to day conversations with people that are influenced by Bell. Dan, that is a fair deduction and I have no problem admitting it. Keller is more of a problem for Presbyterians than D.A. Carson because the latter does not claim to be a Presbyterian. Why do you think Mac owners are so self-congratulatory? Their machine does exactly what a pc does. Peter Williason, the point is for people to catch their breath before they think the whole world is going to hell with Bell. It may not strike you as curious but it does me that GC has responded the way it has when I consider Rob Bell to be a bit player, enjoying his 15 minutes, but burning it up pretty quickly. If I were an advisor to Horton I’d advise not spending so much time on something as ephemeral as Bell. But as I understand MR and WHI, they traffic heavily in the popular stuff. But if you don’t think it is possible to stand back and try to assess the amount of electronic ink spilled over Bell compared to the nothing that critiques Greg Laurie or Franklin Graham or Chuck Swindol you are probably not interested in reading about the decisions of program managers of talk radio stations who determine the news stories most likely to generate heated phone calls. In either case, I don’t think the critiques of Bell are going to dissuade his fans or following. The Lutherans that Lily has to commune with are still going to be emergent after all the speeches and blogs at the GC conference. Meanwhile, radio and television is full of preachers who are every bit as harmful as Bell and no one pays them attention. GC could actually provide a real service if it came out with a guide that rated the electronic preachers with the biggest audiences. But since they can’t even vouch for the member churches of GC, I’m doubting they’ll tackle this project. Bottom line: the point is that everything is not what it seems. Just read Shakespeare or watch the Coens. That human heart is a fiesty fellow. Lily, well I am hopeful that your empathy will reach Isabelle and keep “in the envelope” while I am away. Do you think that your Lutheran cohorts will be any less enamored with Bell after all the critiques? My own sense is that the sensibility that finds Bell and McLaren attractive is one that finds Keller and Piper unattractive. I don’t really pay any attention to the Gospel Coalition, as nothing they’re doing seems to affect anything that I do. But I do pay some attention to Rob Bell, as his influence is far greater than theirs. I don’t really know anyone involved in the Gospel Coalition, but I know a ton of people who are absorbing Bell’s stuff. I don’t know how much of that you’ll see in Hillsdale–I actually attend HOPC–because it’s kind of a backwater, but stick your head in any of the non-denominational or blandly evangelical megachurches within about 200 miles and you’re pretty likely to run across Bell’s curricula fairly quickly. I know I did. And it’s not just in this part of the Midwest either: Bell has a pretty big following in those types of churches all across the country. As to why he’s a worthy target as opposed to other people who preach even worse stuff… well, he is in the news. There’s a conversation happening about him. The same isn’t true of a lot of other people. I’m not sure I agree that anyone who likes Bell is going to be turned off by Keller or Piper. Bell can sound interesting and nuanced to the uneducated. I’ve known several people whose attention was initially perked by Bell who I was able to deflect onto people like Piper, because for all his faults, the latter actually, you know, believes the Bible. Sure, but on that basis Joel Osteen is more of a influence than Rob Bell. Bravo Dr Hart …. Pure contrarian firepower … Is not satirical wit fun and illuminating at the same time? I do hope my prayers for Isabelle are answered! I’m guessing she may begin to be happier when you return home and stay put for awhile? My cousin’s elderly cat began to hate it when he had to travel. These last few years, she bitterly meows at him for a few days after he returns from a trip to let him know her displeasure and then insists on monopolizing his lap every time he sits down. Louise isn’t so hard on the carpets, but on his bed! So you may be blessed in that department! It’s possible that some may pay attention, but it will probably be a blip on the radar screen and they will most likely put a best construction on it (our 8th command). The emergent mentality is firmly entrenched. It began with the Willow Creek seeker-sensitive / church-growth movement, the loss of closed communion, and continues to devolve. I think you are right. From my perspective, each group’s general teaching style, focus, form, content, and target audience appears to differ. But, both groups theological boundaries seem to be fairly elastic even though Keller and Piper seem to have better boundaries. And, both groups seem to be drifting into different degrees of a post-modern pietism. I would not place either Keller or Piper into what I understand to be a Reformed category. I’ve listened to both men preaching and their teachings taste much more conservative evangelical than Reformed to me. Piper’s style and content strikes me as quite pietistic, but I am of the same opinion of Jonathan Edwards, too. You will also find Bell’s videos and curriculum in “evangelical” mainline (or as I prefer, deadline) churches. He is big among the youth ministry folks in the PC(USA). Glad to have you in town. A word about the arboretum, it is nice, but beware the (spring/fall) lovebirds. In winter you should be safe safe thanks to the less than ideal temperature. 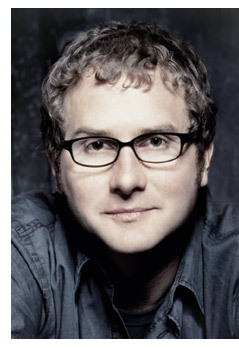 Growing up in evangelical (GCesque) circles, Rob Bell was hot stuff. His Nooma videos were “cool” Christianity. My sense has been that his fame goes beyond the fifteen minutes he’s currently receiving for his book. As a freshman evangelical (two years ago) I even went up to his church in Grand Rapids and at the time thought it was pretty legit; although, seriously, meeting in an old mall…cool idea…maybe, but the place was ugly as sin. Second, the backlash seems to be a possible indicator of just how “in” Bell was with evangelicals. As I said, growing up in evangelical churches Bell was the cool guy, and I don’t think his fame was limited to just my church. Also, and this is just a shot in the dark, but based on Piper’s response I suspect Bell had some notoriety in GC circles, which in my experience, want serious Christianity but clearly not confessional Christianity. Not among people who would otherwise be fairly mainstream evangelicals. Adam’s got the right of it there: Bell is significantly popular in otherwise bland evangelical churches, while Osteen is recognized by most of them as being a bit out there. I think the distinction I’d draw is that people who actually care can be led astray by Bell, but that’s less likely to happen with Osteen. I think this is largely a distinction without merit – I don’t think there are many people who find Bell convincing who would be readily swayed by Piper. If we are going to get closer to home, why not go after MacArthur’s dispensationalism? That’s even more influential amongst GC-ites. Adam, fair points. And I never encounter Bell in Reformed and Presbyterian Churches. Which suggests that the “reformed” at GC are more oriented to evangelicalism than they are to Reformed Protestantism. And if that’s so, then they really need to say hello to Rick Warren and Osteen for starters. BTW, wouldn’t a cigar smoke out the loverbirds in the arboretum? Ryan, here’s something that GC could do (but then it would mean the end of GC). They could actually promote the work of ordinary pastors instead of rely on the work of celebrity pastors. It’s the celebrity that leads people to Osteen or Bell or Keller or Piper. American Protestants need to recognize Christ in an unknown man who preaches to his flock weekly, and meets with them in their homes, studies the word, prays for his people, all without the glare of cameras or the glitz of book tours. But if celebrity is what counts, then the faithful are always going to be as prone to follow Osteen as they are Driscoll. Ryan, here’s something that GC could do (but then it would mean the end of GC). They could actually promote the work of ordinary pastors instead of rely on the work of celebrity pastors. I’m all for that. Of course, we also run into the problem that a lot of pastors can’t preach worth a damn, credentials or no, which is an issue I’ve raised elsewhere. But I would want to argue that this searching for celebrity isn’t always a quest for celebrity for its own sake; a lot of people really aren’t being fed. They’re frequently turning to alternatives which aren’t real food either, but how are they supposed to know any better? How are the uneducated supposed to be able to tell the difference between celebrity and quality? Using the former as a proxy for the latter makes sense in a lot of other contexts, so it’s hard for me to get too upset when people try to do that for preaching. I guess that’s my main thesis, really: the main problem with the modern church is the same as the problem it’s always had, i.e. an acute and chronic lack of edifying preaching. I think rather than promoting the work of ordinary pastors, what we need even more is just the cultivation of better ordinary pastors. Which suggests that the “reformed” at GC are more oriented to evangelicalism than they are to Reformed Protestantism. Which isn’t terribly surprising, considering that most of them are evangelical. Of the twenty-two GC churches in Indiana, one of them belongs to a NAPARC denomination. The rest are almost entirely Baptist or non-denominational. Ratios in other states are similar. It’s no wonder they think Bell is a problem: their parishoners are actually hearing his stuff. What if Rob was one of us? Leavin’ Moltmann books at home. Ryan, but isn’t the entire reputation of GC that it is Calvinsist? I mean, it features the people behind “young, restless, and reformed.” A lot more truth in advertizing would be appreciated, one reason why denominations for all the problems are clear about what they do and are. But that’s not a representative sample (the Reformed and Presbyterian churches you’ve been in). I know several Reformed and Presbyterian churches his ideas frequent. Indeed, he or his “sheep” have “stolen” several members from many Reformed and Presbyterian churches, Harvest being one of them. Paul, thanks for linking to this post at your blog. It helped readers of the GC blogs to see links to this. Apparently, they have blocked oldlife links to GC blogs. Farewell, indeed. Last fall I visited a CRC church plant at the recommendation of a PCA pastor (the pastor of the CRC had previously been an intern at the PCA pastor’s church). The CRC had a book table with only three or maybe four books on sale. One was Velvet Elvis. I guess the CRC is not presbyterian and in many cases is not even reformed. It’s curious though that a former PCA intern would be pushing Bell’s books. If I’m not mistaken, Kevin DeYoung is a CRC minister. Perhaps Bell is a big deal in the CRC crowd. Ryan, but isn’t the entire reputation of GC that it is Calvinsist? I suppose. But again, you’re operating under the assumption that you’re either Old School Presbyterian or not worthy of the name, which is starting to get a little inside baseball. Look, I agree with most of your principles and have plenty of my own issues with the GC. But I’m willing to take allies wherever I can get them, especially when they accurately criticize dangerous people like Bell. Your line of argument seems to be that since the GC has not adequately established its Reformed bona fides it is inconsistent for it to criticize him. Even granting the former, the latter does not follow. I call shenanigans. I don’t care what their other issues are, they deserve credit for going after this guy. Joseph, DeYoung is RCA. Easy mistake, though, they all look the same (said the Slavanian in Dutch circles). aah…thanks, Zrim. That would explain why the church planters hadn’t ever heard of DeYoung. But, I did ask if they are Dutch and they are. They’re even from Michigan. Joseph, Dutch Reformed who never heard of a guy named DeYoung? Incontheivable. Zrim, they said it’s definitely Dutch and they know some people with that name, but they had never heard of the GC, nor Kevin DeYoung specifically. Dr. Hart, Bell’s book is #4 on Amazon. He’s not “just” a flash in the pan. He’s BIG, and he calls himself evangelical when he actually accepts everything the evangelicals have always rejected. It’s important for his heresy to be dealt with directly and called out for what it is — not Christianity at all. Yes, there are others who also need to be dealt with; but failing to deal with Bell’s inclusivism and radical immanentiazation of God’s being* is not a way to succeed in dealing with (say) Warren’s barely-semi Pelagianism. *: in the Q&A for his book, Bell was reminded that he’d emphasized God’s existing through His follower’s actions. The questioner then asked whether Bell believed that God existed “as a being” apart from man’s actions. Bell gave a long answer in which he reiterated his belief in God existing through our actions, and said nothing about whether he believed God actually exists. The Bell debate is important, all right, but British evangelicals have been debating the fate of the lost for some time now. Andrew Jukes (1815-1901), a popular devotional writer, drifted off into universalism with the financial assurance of a private patron, and Robin Parry, then the editorial director of Paternoster, one of the most eminent British evangelical publishers, published The evangelical universalist (2008) under the pseudonym Gregory MacDonald. More more controversially, John Stott defended conditional immortality (which I think he later refuted). But the cautious and ambivalent response of the broader British evangelical community has demonstrated that conditional immortality is now less deviant than once it appeared. A report published by the Evangelical Alliance (2000), a coalition of churches and organisations that claims to represent over one million British Christians, confirmed the traditional teaching that the damned would be tormented, but did not insist that their torment would be eternal. These debates demonstrate that the eschatological options of contemporary evangelicals are at once narrower and broader than those of the earlier centuries. Evangelicals have continued to speculate about eschatology, but, while in America the dispensational hegemony has been disrupted by the rise of a politicised postmillennialism, in Britain the most contested focus of that speculation has shifted from the communal consequences of the millennial age to the individual consequences of the rejection of the gospel – and whether there are any. But now it sounds like the Americans are catching up! Darryl, anytime, just let me know when I can help out again. Joseph, DeYoung is RCA, I believe. Ryan, it is not inside baseball to wonder about an outfit that speaks with forked tongue about one of the sacraments, not to mention waffling over pastoral ministry and the gifts of the Spirit. But now I may understand the anti-Bell position better. At least the GC agrees about universalism. Is that a break through? Something I have never understood is “why all the hoopla over” John Piper. Why read or listen to a rule-making douche bag when you don’t have to? I say farewell Rob Bell and farewell John Piper. Read Berkhof and Horton instead. I’m in the odd position of having lived in Holland, Michigan for 12 years, being a member of an OPC church, but having also attended before that, Bell’s church for a couple of years early on (around 2000-2003). I also know Kevin DeYoung personally, having gone to school with him at Hope College and am close with his family. Kevin is RCA, but he’s on the very conservative end of the spectrum in RCA circles. He’s quite confessional. Bell started out fairly mainstream evangelical, having started out at Ed Dobson’s Calvary Church in GR, but upon starting Mars Hill in Grandville, his PoMo Emergent style started coming out more and more. His own influences are quite varied. In Velvet Elvis he highly recommended anything from John Piper, but at the same time recommended several other clearly heterodox and even heretical authors. He was/is also deeply influenced by a local HS teacher named Ray VanderLaan from Holland, who’s very popular because he emphasizes the Jewishness of Jesus. But unfortunately he doesn’t know his history very well at all and conflates Medieval Rabbinic Judaism with Second Temple Judaism. He’s chronically anachronistic in his understanding of NT times. So Rob Bell has a strange hodge podge of influences guiding him in deeply contradictory ways, but to the PoMo Emergent mindset that’s not a problem, since it’s all about asking questions and never arriving at an answer. Oh, and his Nooma videos are hugely popular in the West Michigan CRC/RCA circles I’m familiar with. I think this may be why he’s getting noticed by GC. Bell and GC have some of the same constituency. 1. Reread “all of Calvin,” including the Institutes and commentaries. The Institutes once per year. 2. Reread “all of Luther,” including the commentaries, confessions, prayers. About 58-volumes and available through CPH on CD. 3. Reread the 55-volume Parker Society series, a collection of papers, tracts, letters, articles, trial transcipts, prayers, sermons, etc., from that august English breed of Reformers. 4. Use Cranmer’s 1552 Book of Common Prayer in the morning and at eventide for devotions, including either the Genevan or the 1611 KJV. In connection with this, following the recitation of the Apostles Creed, enumerate and confess your faith from the WCF (about one chapter/day), or the Belgic, or the Thirty-nine Articles. Do this for several years. 5. Sing the Psalms by morning and evening, completing sung-Psalms once per month. 6. Read 10 chapters of the OT and 10 chapters of the NT daily. Just the classics and only the classics. Some of you may think this an over-reach. This scribe thinks that failure here is a grand under-reach. I think seminaries have failed in demonstrating such leadership. Bell, while he may be influencing many, is no Calvin, Luther, or Cranmer–or the vast lines of thinkers, writers, and pastors in that orbit. Just the classics, Sir or Maam. DGH, I hadn’t realized you had moved. That’s too bad — I was hoping for the possibility of meeting you at a Biggs shindig. Arminianism is most assuredly *not* an acceptable error. He’s at the front of the line at the moment because some theology needs to be done in a time-sensitive way. This guy has a book coming out? He’s what’s on people’s minds…even if Rick Warren is more subtle and in some ways, more dangerous. Since Bell is the Emergent with the book coming out, it’s wise to direct attention his way since people are already talking about him, rather than a scatter-gun approach of refutation of a book (like, for example) Generous Orthodoxy, by Brian McLaren. It’s already been refuted and talked about…and is on the proverbial trash-heap. Should it still be meaningfully interacted with? Yes…in the same way that someone should meaningfully interact with Finney or with Pelagius. But we don’t live in a culture with a long memory (especially not the evangelical culture, which seems to be even more a child of the age than secular culture at times). Donald, that may work in an ivory tower. Meanwhile, the sheep are eating in grass that’s been sprayed with deadly chemicals (most of which can be obtained at any neighborhood Family Christian Store or Lifeway) and an intelligent, informed and gracious response needs to be had by pastors who are serving local congregations…and not just the pastors, but the elders need to be educated on this stuff. Saying “just the classics, ma’am” is hardly a way to have a young person who has been disillusioned with abuses of evangelicalism (which include anti-intellectualism) listen to someone who is more mature in the faith. Instead, the person who is reading Bell needs to be heard and their questions about heaven and hell dealt with in a consistent and gracious manner, pointing to the Scriptures and most of all, to Christ. Where does Ephesians 4:29 fit into your comment, sir? Why the harsh attitude? Do tell how this glorifies God? David, Bell seems like less of a problem because the people who listen to him are either already gone or will abandon Bell when they actually hear him teaching universalism. Perhaps I’m being unfair with that perspective. Like Darryl suggested, what if the GC made a frontal assault on, say, a Chuck Swindoll, or a Chuck Smith, or a Greg Laurie. These guys have huge followings of believers who have not imbibed emergent oooze and think of themselves as taking the Bible seriously. Thus, Bible arguments with such folk actually stands a chance. I’m just not sure how much good it does to confront an emergent guy with the text of Scripture. On the other hand, it’s not as if it’s either or, I guess. Maybe DeYoung will go after Chuch Smith next. Oh wait, DeYoung didn’t grow up anywhere near Costa Mesa. Kevin DeYoung is featured in this post, supposedly showing a stand against bad teaching from Bell. But am I the only one who finds that DeYoung also sends out mixed signals in his theology? He gives the impression of caring for sound doctrine, and like his close friends in SGM enthuses much over the books and sermons of Warfield, Calvin, Bavinck, and Horton and many others besides. He writes – often I suspect with a view to the intellectual high ground – on theological topics and Christians like Warfield and Hodge. But fundamentally along with his close his allies in SGM, his practise doesn’t show much relation to what he purports to appreciate in terms of fruit in Reformed practise. But I have often noted that just like his buddies in SGM, his reading and apparent enthusiasm has got him a place and great acceptance at the top table of ‘Reformed’ evangelicalism and networks like WHI. His theology in practise is a heady mix of CCM in the corporate worship, tons of intellectual words and debates, and much that isn’t anywhere near Presbyterian practise – but he is the emerging personality in the GC who tries to convey or has by accident some aura of soundness yet with a strong contemporary flavour. I would suggest it is these guys and churches like SGM which need our attention as much as the more transparent chaps like Bell, because they are subtly and gradually changing the identity of what Reformed and Presbyterian belief and it’s consequent practise is. At present, despite whatever Reformed poses DeYoung and his friends make, they are not only contradicting in practise the understanding of the historical Reformed faith but they are instead affirming much that is contrary to it. For a crisp, concise adjunct to what I am alluding to, I would point folks to Scott Clark’s excellent post at heidelblog.wordpress.com/2011/03/21/reformed-and-pentecostal/#more-816. At least the GC agrees about universalism. Is that a break through? These days, I’ll take what I can get. I assume you’ve had the benefit of being part of solid Reformed churches with edifying preaching for most of your adult life. Others of us haven’t been so lucky. But Ryan, it is a free country and solid Reformed churches are not putting up locked gates to keep people out. Find a Reformed church and go to one. What a difference a pastor makes. Paul, are you sure you’re not Paul Helm? Nicely put. But to many in CG and SGM circles, this just sounds mean. But they don’t want to be like us in practice or ministry. And that is “nice”? There are lots of parallels between this and the world of branding and marketing. If I’m understanding you correctly, you’re a Calvinist, right? So what does a Calvinist mean when he calls somebody “already gone”? “More totally depraved”? Lost their preservation? Seriously, this is incoherent. Bell’s followers are a mission field. His followers are being very subtly taught a lie, and the more they hear it the more they will believe it. Bell is teaching universalism while denying it. If he is contradicted, there is a chance that some people will see clearly what he’s teaching; if he’s not contradicted, the poison will seep in deeper, and some more people will become persuaded not by reasoning, but by a poisoned worldview. Like Darryl suggested, what if the GC made a frontal assault on, say, a Chuck Swindoll, or a Chuck Smith, or a Greg Laurie. I’m just not sure how much good it does to confront an emergent guy with the text of Scripture. Find a Reformed church and go to one. I did. And it was good to see you this morning. But it takes me over an hour to get there every Sunday, and I know others who would need to travel even farther. More than that, just because someone’s got their theological ducks in a row doesn’t mean they can preach worth a damn. Nor, unfortunately, does being ordained. I’ve heard plenty of lousy, unedifying preaching in Reformed churches. There is technically a PCA church in Fort Wayne (at least I think it still exists), but you won’t find me there, largely for that reason. Dr Hart, what do you make of Michael Horton and R Scott Clark spilling a lot of e-ink on responding, apparently suddenly, to Rob Bell? Actually Dr. R Scott Clark is actually only publishing the links to the Westminster – Cal’s blog which is posting Dr. Horton’s series on Bell. Dr. Clark does that all the Westminster – Cal’s resources. Office Hours, The Face to Face videos, Blog posts, etc…. Ryan, good to see you. Have you thought about trying to talk to one of the officers of the church to see if the church might respond to your concerns? Dan, I don’t get it but Mike has a history of doing this going back to his very first book where he exposed the televangelists. Have you thought about trying to talk to one of the officers of the church to see if the church might respond to your concerns? I did that pretty much as soon as I showed up about a year and a half ago. At this point it’s a matter for the presbytery, and, to be honest, I’m not holding my breath. Great to hear your prescription! Sounds like you too are an ad fontes man. Which misses the point: why don’t you harp on Clark, Horton, and WSC just like you did TGC? But, Paul, you asked, “What is it about ‘Confessionalism’ that consistently produces bad arguments and poor reasoning, self-excepting fallacies, anti- apologetic and rational tendencies, and a general reluctance and unpreparedness in defending historic Christian dogma?” To the extent that Clark and Horton represent the kind fo confessionalism you abhor, where is there any Aporetic praise for their apologetic against Bell? Or is damned if you do and damned if you don’t? Paul, is it really so hard? Horton and Clark are 2k. GCers aren’t. Hmmm… the WHI will be taping an episode at the GC conference next month. They even called the WHI their “friends”. gasp! I love your work Dr Hart. I just think you shoot yourself in the foot with the GC, YRR bashing. Go ahead if you like. But you would be much more persuasive if you weren’t so adversarial towards “us”. correction: the WHI blog referred to the GC as their friends. Hopefully Yards is available in the Mitten. At least Michigan has Bell’s. Zrim, their “apologetic” is actually quite bad and embarrassing, showing an unfamiliarity with universalist literature and arguments. But I was giving them a break for a bit. Darryl, that makes no sense. The problems with responding to Bell, according to you, have nothing to do with 2K. Low hanging fruit is low hanging fruit. That those in GC churches should be able to tell bad theology from good, a fortiori, those in 2K churches! Your criticism is self-serving and self-excepting. It’s a jumbled mess of incoherent pontificating. Blogging to blog . . . something, anything. DJ, friendship is not the same as communion. I’m sure we could be friends. But would you be willing to submit to the limits of membership in a disciplined communion? And does GC do anything to help those believers who are working for a disciplined communion? Sorry, but GC shoots itself in the foot since the gospel is all about the Great Commission, discipline churches, with baptized members. Oops. There goes that touchy GC issue of baptism. Or is GC indifferent to baptism for the sake of a coalition? Paul, but it would make sense to you if you had a 2k worldview. Maybe Dr. Hart should consider his own comments…”Or could it be the case that we are always hardest on those who are closest to us, such that to show that our position is correct we need to expose the errors of someone close to our position?” Maybe this is why you have such a fetish for Piper, Edwards and TGC. Hmm? I just came across your sight recently, I mean for believers you seem to spew a lot of venom out toward these guys. Is Pope Francis another Rob Bell? […W]hat about those with no faith? The answer is that if one has loved others at least as much as himself, (possibly a little more than self) the Father will welcome him. Faith is of help but that is not the element of the one who judges — it’s life itself. Sin and repentance are part of life [and include]: remorse, a sense of guilt, a desire for redemption and the abandonment of egoism. What happens to that lifeless soul? Will it be punished? How? Francis’ answer is very clear: there is no punishment, but the annihilation of that soul. All the others will participate in the bliss of living in the presence of the Father. The annihilated souls will not be part of that banquet; with the death of the body their journey is ended and this is the basis for the missionary work in the Church: to save the lost souls. And this is also the reason why Francis is a Jesuit to the core.